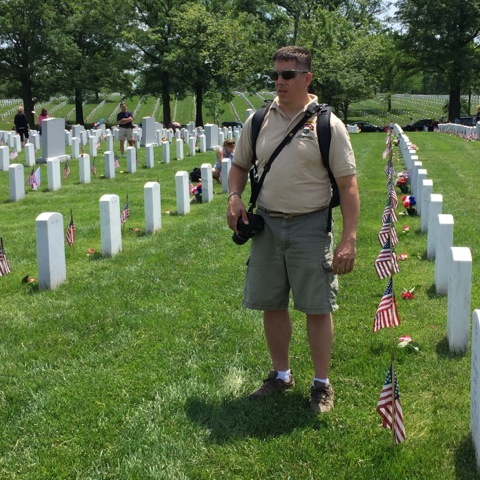 After a bit of a personal hiatus, I found myself traveling to Arlington National Cemetery this past Memorial Day. 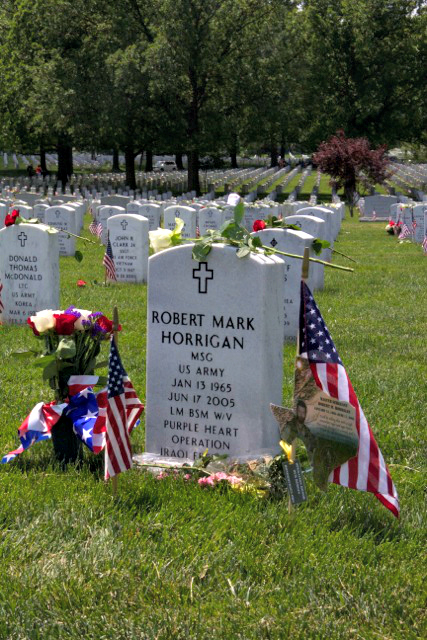 My fallen brother, Robert Horrigan, was interned in 2009 and this was my first time visiting his grave. The weather was perfect and so the camera had to thrown in to the daypack along with my new BackRapid Backpack Strap. One of the many excuses to bring my DLSR everywhere I go is convenience. To always be prepared, I bring a backpack on most outings and because my camera always gets in the way as it pinches my neck and bounces off my chest. I was looking for a way sling the camera so I could walk around and still have it ready at my fingertips like the pros. The solution arrived in a small box, which contained all the required parts enclosed in a nice mesh/silk drawstring bag. There was also a small instruction book and sticker. Getting the strap attached to my daypack was fairly easy, as was attaching my camera to the stainless steel hardware. The materials are good quality and the design seems to be well thought out. There’s one small carabineer included for connection to packs with wider straps; I really wished they included two carabineers instead of just one. As we moved through the cemetery, we immediately realized we had entered through the wrong gate and had quite a walk ahead of us. I was able to move very freely and rest my hand on the camera to keep from bouncing out of control. BlackRapid did a fine job of putting a swivel attachment, so you never have to be concerned about tangles in the strap. We finally arrived at the gravesite and peace of my brother’s rest was palpable. Bobby had taught me some of the most important traits of being a good leader, many of which I still apply today. 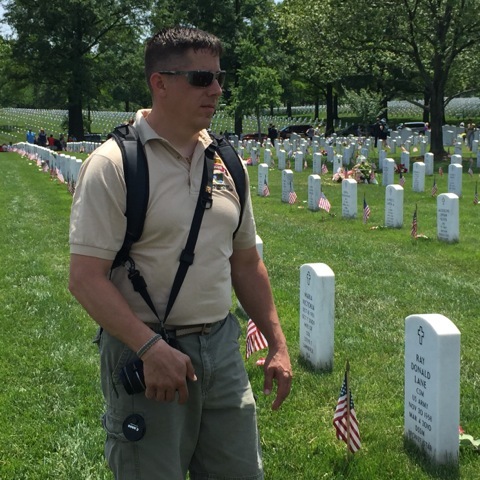 We then continued to walk up to the Tomb of the Unknown Solider, and I was again impressed that the BackRapid Backpack Strap was not a hindrance. Well-done BlackRapid.